Even the youngest children can make a difference..... So can you! More people in Kenya die as a result of contaminated water than malaria and HIV/AIDS combined -- according to a report, which was discussed at an international workshop in Nairobi, Kenya -- the Daily Nation reports. The report said that 5,000 children younger than age five die everyday in Africa due to dirty water. In addition, "only 49 percent of Kenya's rural areas had sustainable access to improved drinking water while 85 percent in the urban areas has access to improved drinking water sources," according to the Daily Nation (8/26).
" If you have to walk really far to get water, you could get too tired. 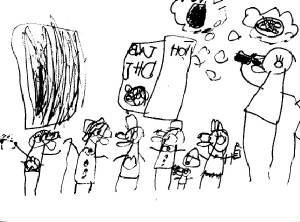 If nobody has water then kids could get sick. Could kids die?" 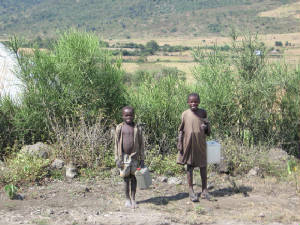 “Children for Water” began in 2009 during a classroom circle time discussion. Since that time, “Children for Water” has raised over $3,000 in funds. 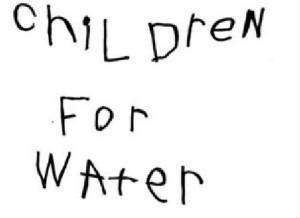 …and the CDC children’s efforts will continue as long as there are children without access to clean drinking water! 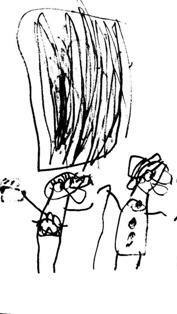 Please contact our children at hjenning@bergen.edu if you wish to contribute to their efforts. "Everyone needs water to live." 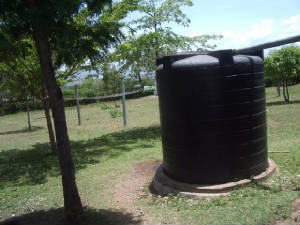 "Children at the new water tank."